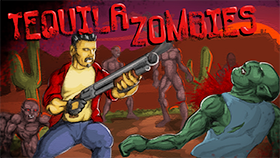 Zombie Choppa is an exciting action game developed by Xform. In this game, you play as a pilot. Your task is to fly a rescue helicopter and rescue the survivors. However, your enemies are zombies and there are a lot of them. You need to handle the helicopter carefully because you will die if you make even one small mistake. At the start of the game, you'll be thrilled with the unique 3D graphics of Zombie Choppa. You will start on the roof of a building. You will see that there are red zones and you must fly to these locations to save the survivors. However, zombies will always appear around red zones. Remember, the zombies can jump high. You have a health bar. Each time you are attacked by zombies, your HP will decrease. When your HP drops to 0, you will die and the game will end. Zombie Choppa has many missions, with each mission being a different challenge for you. Note: You can kill zombies by landing on them. Each time you kill a zombie, you will get points. Try to get as many points as you can. On the upper right-hand corner of the screen, it shows you the time, and I believe you will enjoy the effects of daytime and nighttime in Zombie Choppa. On the bottom left-hand corner of the game screen is the number of survivors you have to rescue. Try to complete your mission as fast as you can. This game has many interesting things waiting for you to discover. Good luck and have fun! Each time you retry, your helicopter will appear in different locations. You can hold Shift to go down and hold Space bar to go up. 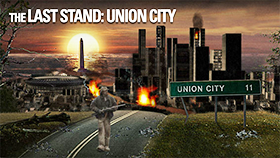 If you are looking for Unblocked Zombie Choppa, then welcome to freegames66.com, the site of thousands of unblocked games. Here, the hottest games are constantly updated by a professional team and you can play the games smoothly. Now, let’s enter Unblocked Zombie Choppa, fly your helicopter wisely and rescue all the survivors from the zombies. Play now!